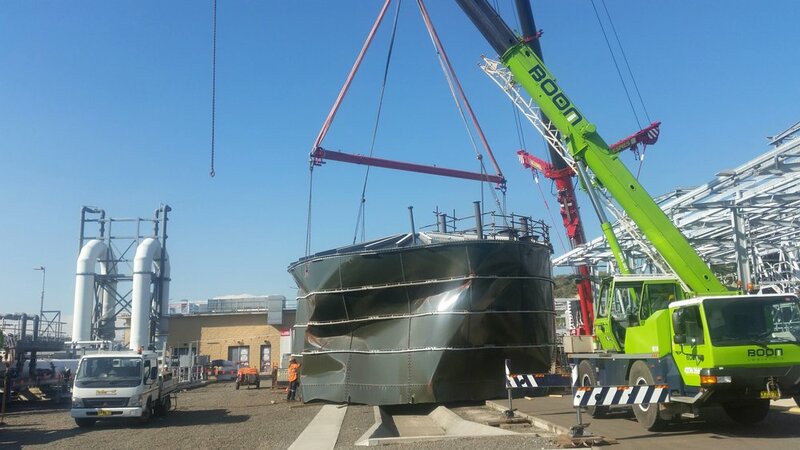 The Allfab crew working on the removal of two Permeate Tanks at the Kurnell Desalination Plant have exceeded all expectations. The client recognised the professionalism of all Allfab employees and subcontractors who worked under demanding circumstances. After detailed planning and meticulous preparation, the successful completion of two major lifts are a perfect example of what Allfab is capable of achieving. Well done to Mark O'Keefe and his crew who worked diligently to prepare the tanks for removal. The crew worked in a challenging environment and under unfamiliar work parameters, showing why Allfab keeps leading the way. Thank you to all employees for their contribution and efforts.